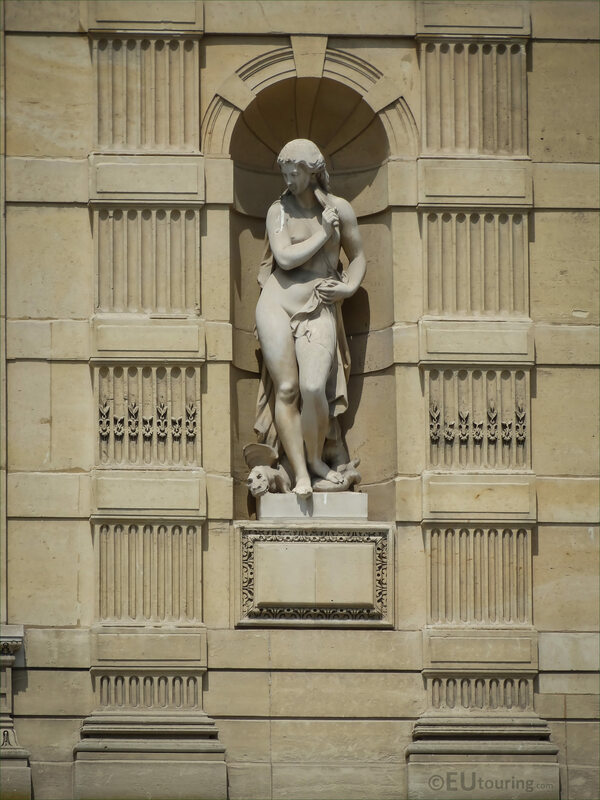 This time we were at the Cour du Carrousel of the Musee du Louvre in the 1st Arrondissement of Paris, when we took these high definition photos showing the statue by Pierre Bernard Prouha, which is just known as the Mythological Figure. Now this first HD photo shows the statue located within a niche, and this is positioned to the far right hand side of the Aile de Marsan wing on the second level of the former Palais du Louvre. 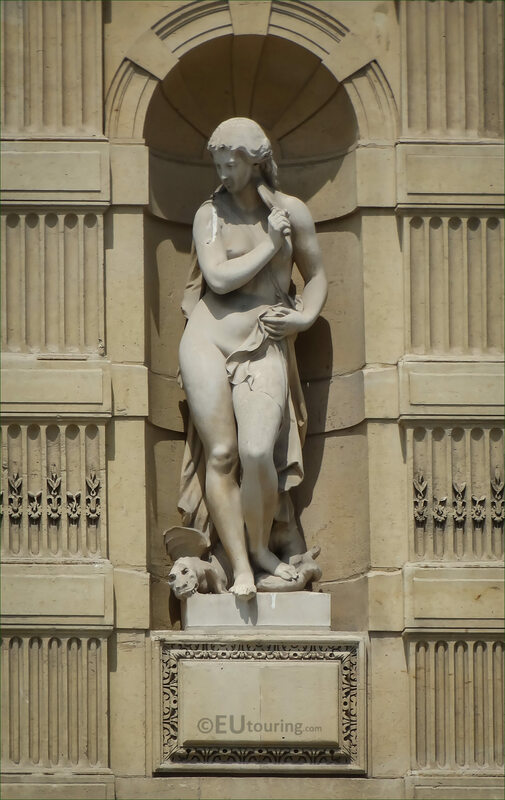 However, unfortunately, even though there appears to be a specific theme for the female statue, we have been unable to find out the exact name of who she is meant to depict, like Venus for instance, or even if this is an allegory such as Tranquility, and the sculpture is just referred to as the Mythological Figure. Yet we have been able to find out who the artist was, which is a gentleman called Pierre Bernard Prouha, who was born in 1822 who studied to become a French sculptor first presenting at a Paris Salon in 1855. From then on he produced numerous different sculptures, statues and busts, also receiving several commissions for statues on The Louvre Museum including this one known as the Mythological Figure, and he continued working right through to the year he passed away, which was the July of 1888.